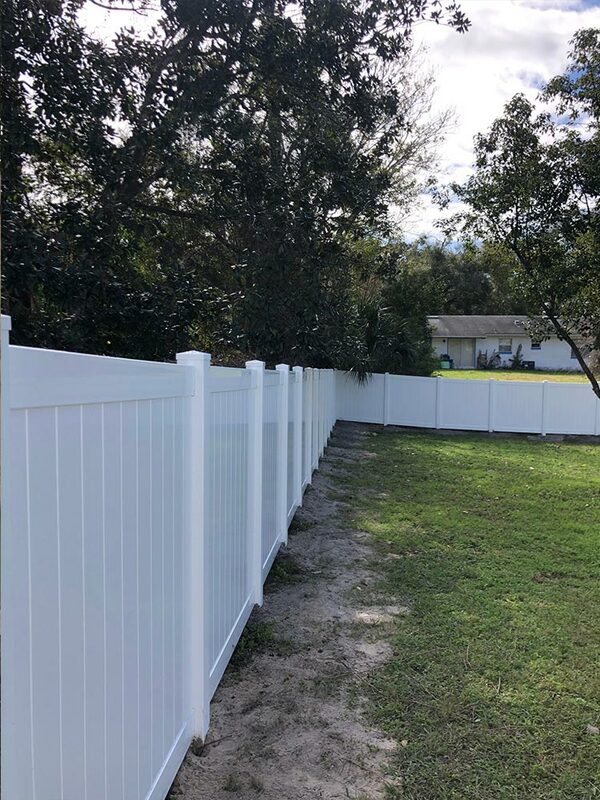 Vinyl Fencing from the Better Fence Company is a low maintenance, extremely durable and affordable fencing solution for any home or business. 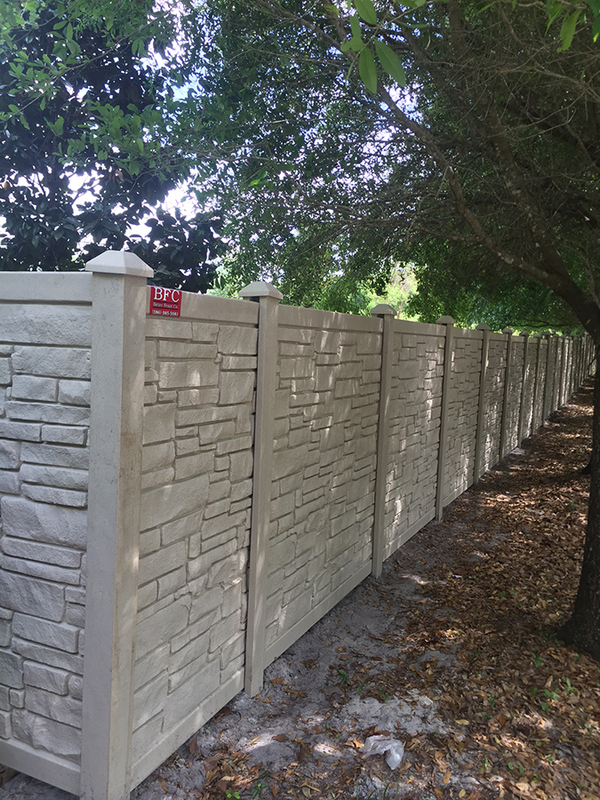 In fact, it is so tough that it just may be the last fence you will ever need for your property! 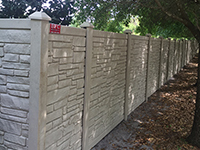 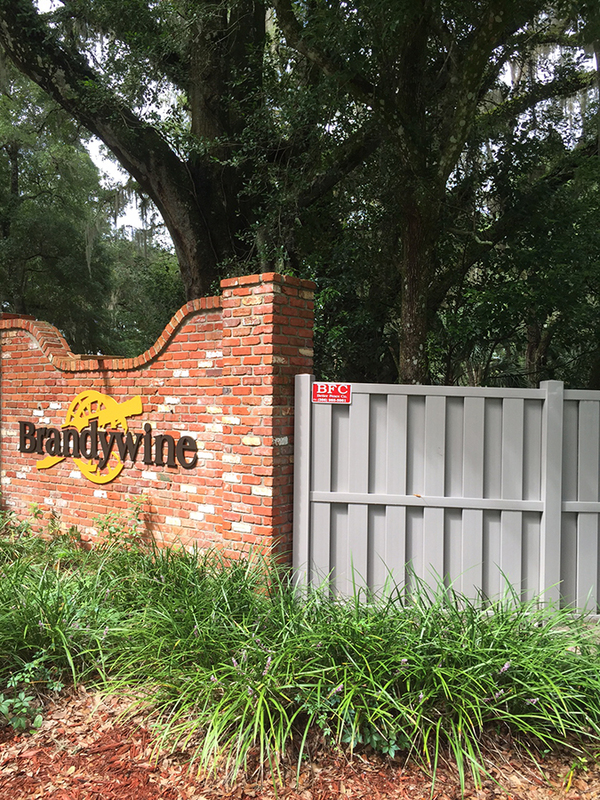 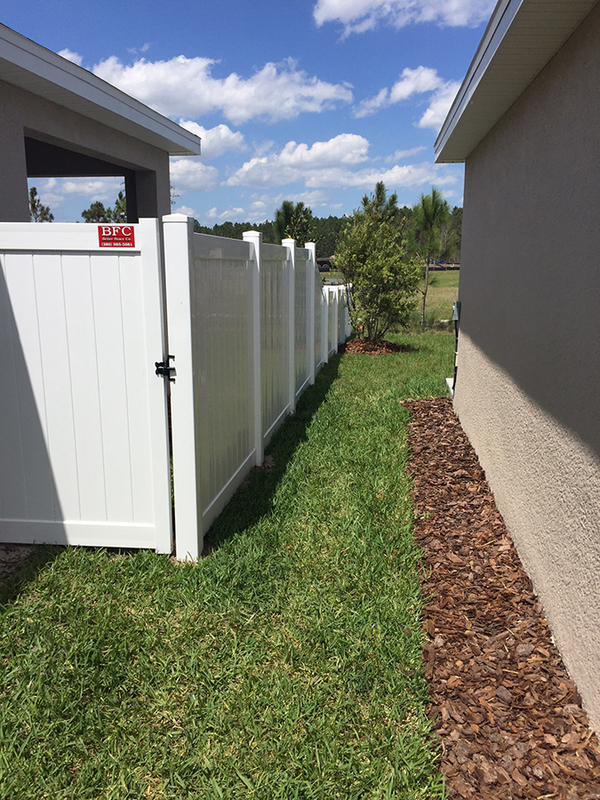 We Install Viny Fences throughout DeLand, Palm Coast, Deltona, DeBary, Orange City, and neighboring Central Florida areas. 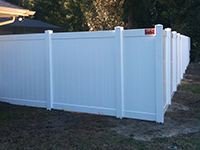 Made from a durable polyvinyl (PVC) resin, a vinyl fence will not rust and is extremely easy to clean. 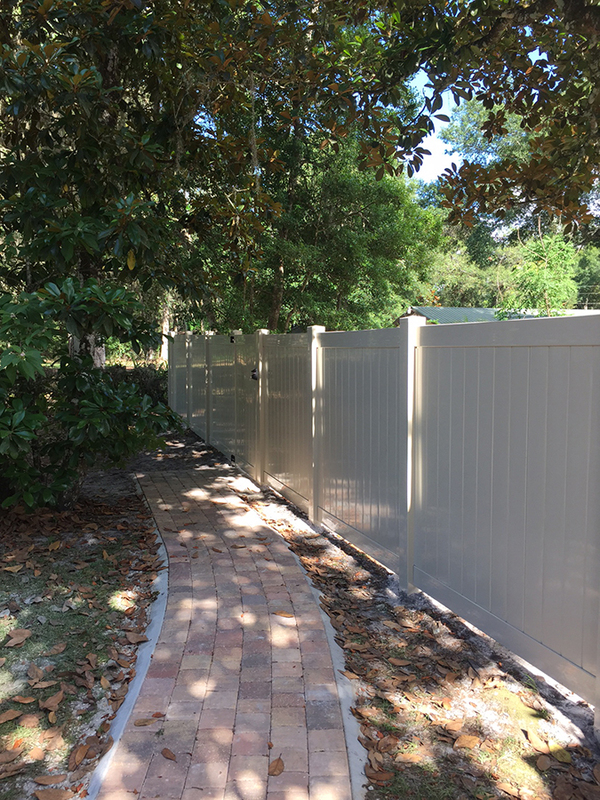 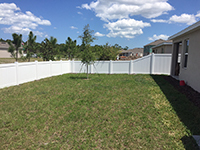 When professionally installed, your vinyl fencing will have the strength to withstand strong winds, heavy rains and hot summers that are common in the Central Florida area. 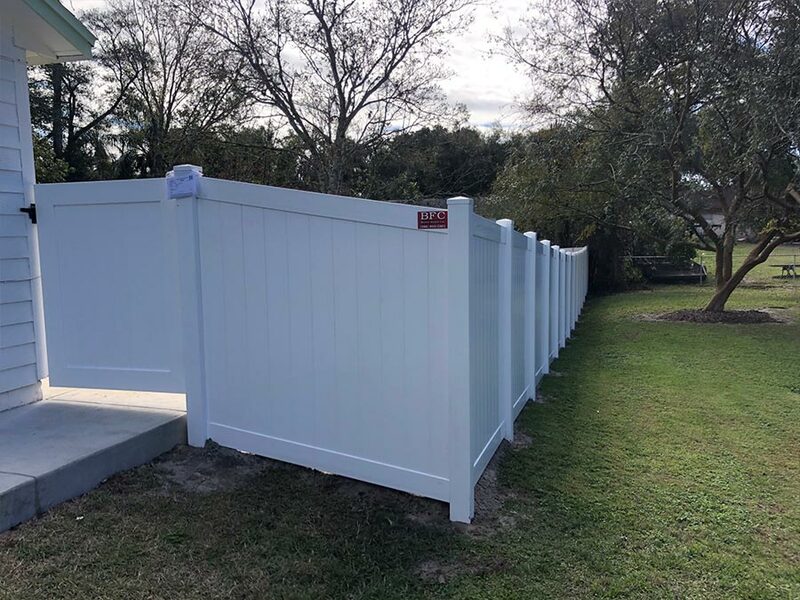 Plus, it will never need re-painting. 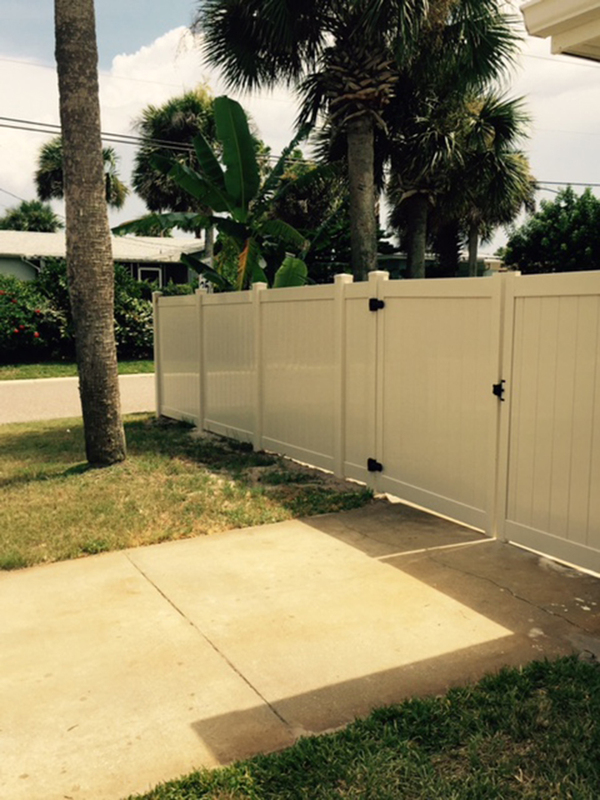 That’s why vinyl fencing is one of the most popular types of privacy fences installed today. 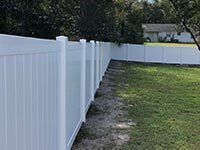 Give your property character and instant curb appeal with a picket or ranch style fence. 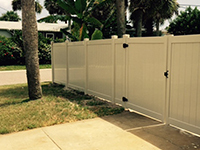 Or secure your property with a handsome privacy fence. 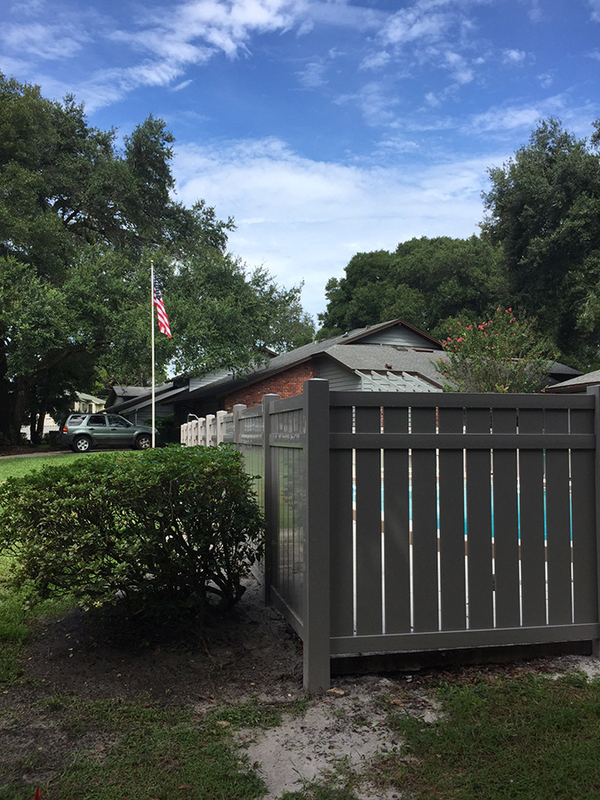 Gates are made with aluminum frames and covered with vinyl. 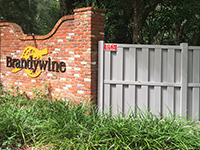 Standard or custom sized gates are available to match any style you choose. 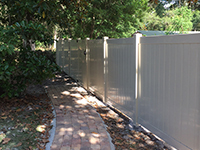 Vinyl fencing is available in your choice of three colors: white, grey or tan. 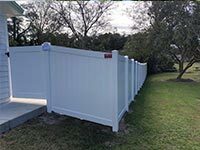 We expertly measure the vinyl fencing to the exact specifications for your property and deliver and install onsite to ensure a custom fit for any size property. 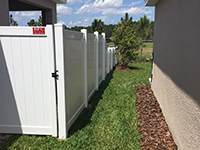 Fence posts are securely anchored into the ground. 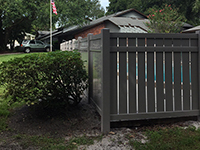 Secure your yard, property and pool area with a vinyl privacy fence. 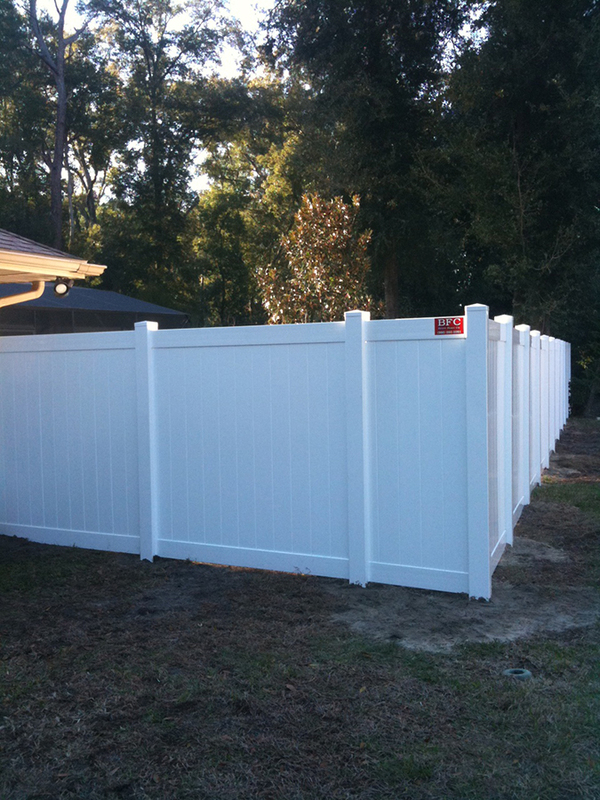 Get the traditional white picket fence for a contemporary appearance. 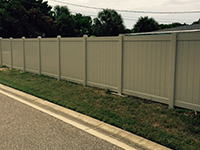 Our charming ranch style vinyl fence will give any property a genuine country appearance. 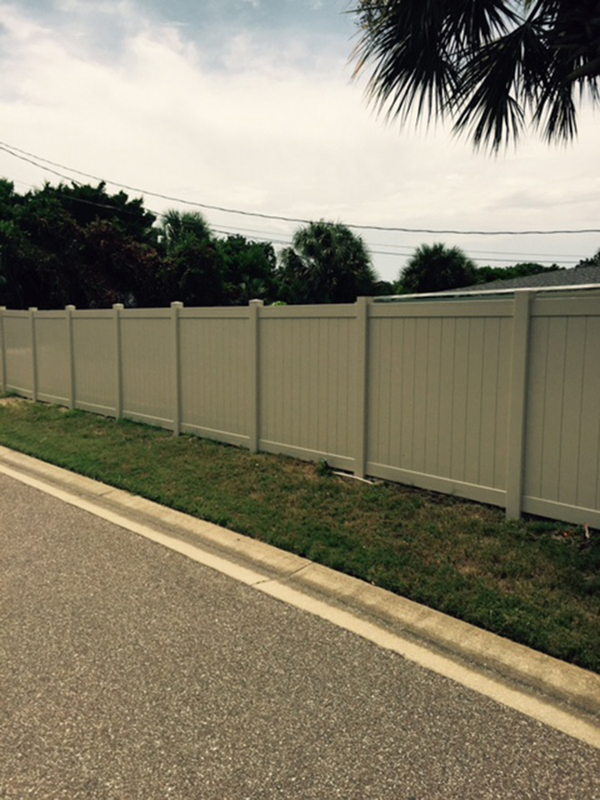 To get a vinyl fence for your home or business, contact Better Fence Company today for a free estimate! 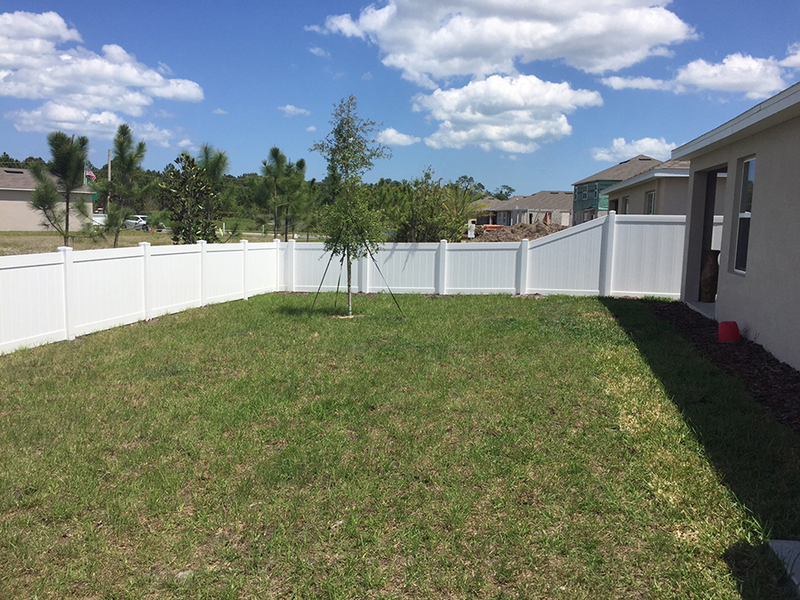 Serving DeLand, Palm Coast, Deltona, DeBary, Orange City, & more.